Here at Hoosier Homemade, we strive to inspire you to build lasting memories with your family. 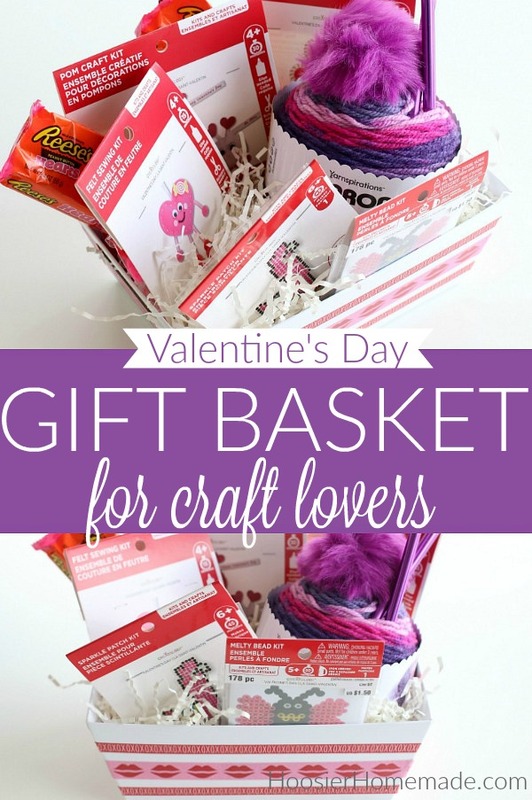 We believe that it shouldn’t take hours of your time to make a delicious dinner, do a craft with your children or put together a fun gift like these Love Baskets for Valentine’s Day. Many, many moons ago, I began giving each of my boys a Love Bucket filled with everything they loved. Even though they are all in their 20’s now and young men living on their own, the tradition continues. And someday, I hope they will continue the tradition with their own children. A lot like the New Year’s Eve Countdown Bags, it’s one of those memories that we all treasure. Fall in love with Michaels exclusive Valentine’s Day craft kits! Whether you’re hosting a Valentine’s Day party, DIYing a special card or gift, or just wanting to give a little love to family and friends, Michaels has everything you need with up to 50% savings! 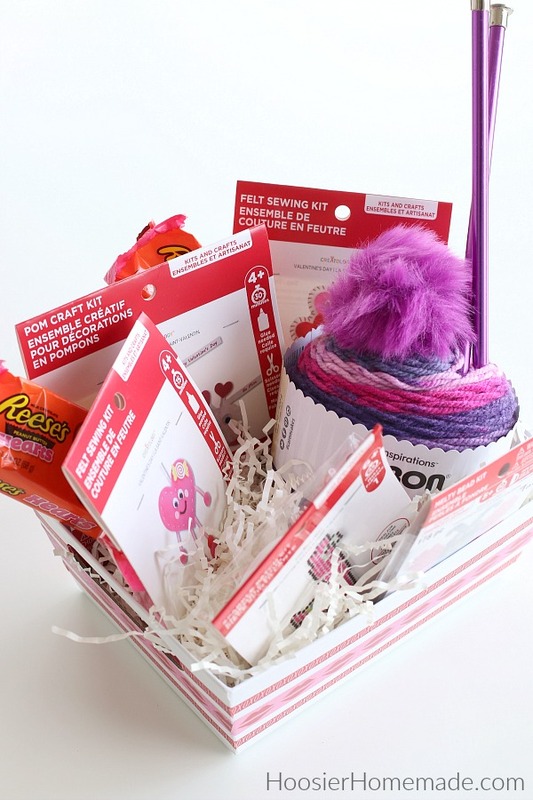 Having a theme or color for the Gift Basket makes it super easy to choose what you add. These little craft kits from Michaels are great for young children, but also older ones that love to craft. Basket or Container – it’s best to choose one without handles, it makes it easier to fill and wrap. This one is available in a few colors. 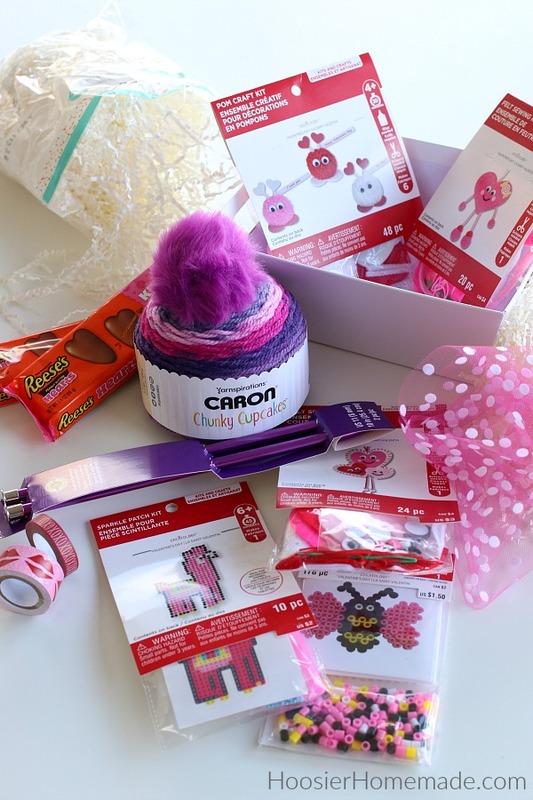 Valentine’s Day Craft Kits – Michaels has a variety of the kits and they are only $1 – $3. The Critters Pom Pom Kit is a favorite. 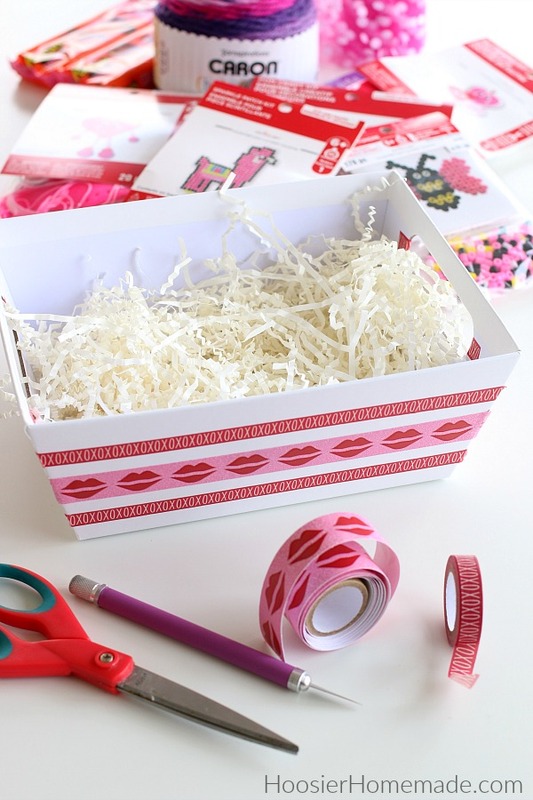 To decorate the basket, add the Washi Tape to each side. I found it easiest to do the short sides of the basket first. Use an X-acto knife for a sharp cut on the edges. After the basket is decorated, then add a couple handfuls of paper filler. Then begin by adding the largest item, then the medium size items and finish with the smallest items. You may need to add a little more paper filler in after you have the items added. 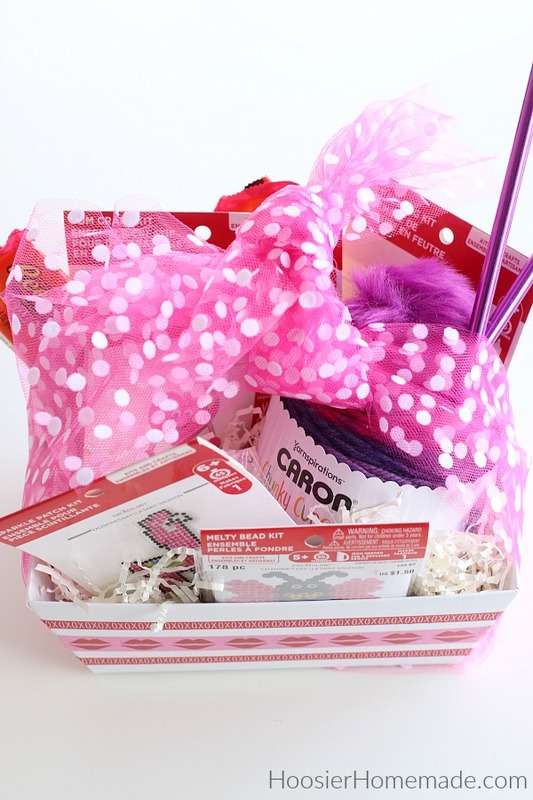 To wrap the basket, measure out several lengths of tulle, lay it on the table or counter, then set the basket on top. Bring the ends together and tie a bow or knot. Awesome basket ideas. Thanks for the pointers. Thanks Becky! They are fun to put together! What a super cute idea! Perfect for Valentine’s Day! Thanks Anna! So glad you like it! These are the cutest ideas! I am saving this for sure! Thanks Lauren! It’s definitely fun to put together the gift basket! Thanks Aimee! So glad you like it!